I wrote this review a year ago and was posted on another site which currently is not active. I am posting it here for those who will find it helpful but cannot access it on the other site. 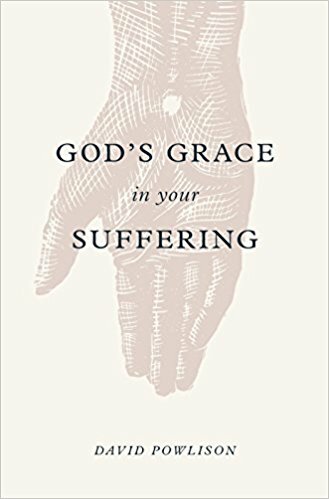 Reviewing Dr. Conrad Mbewe’s Pastoral preaching: Building a People for God is a very huge task for me mainly for two reasons: first, Mbewe is not only a friend but also a seasoned and gifted preacher who has been faithfully preaching the gospel for over 30 years while I am a fledging preacher. Second, I am a Presbyterian and Conrad is a Baptist and as they say, “Baptists are good preachers while Presbyterian are good scholars” (please take that with a grain of salt). However, I have decided to undertake this exercise because I believe that Pastoral Preaching is one of the great books that pastors, more especially in Africa, need to read and apply the helpful insights and principles therein to their pastoral ministries. As far as I know, this isprobably the first published book on preaching written by an African Reformed preacher apart from Dr. O. Palmer Robertson’s Preaching Made Practical. I always consider Robertson as an African owing to many years he has spent in Africa training preachers and Christian leaders and also because he wrote Preaching Made Practical with a true African touch. Pastoral Preaching was released at the beginning of 2017 by Langham Preaching Resources. In the book, Mbewe begins by highlighting why he decided to write. He had noticed that more often than not the preaching in Africa is not producing believers who are spiritually mature because more pulpits are occupied by motivational speakers rather than preachers. The important role of preaching has also been replaced by exorcism services and entertaining “worship” in many churches. Although the problem is not unique to Africa, the continent scores highly on the chart. Mbewe has also strove to make the book more relevant and easily understood by an African readership. He is totally aware that the essence of effective communication is good understanding of your audience. For instance, Mbewe substitutes the expression, “the tip of an iceberg,” with an illustration of thatching a house (p. 1). Then he goes on to note, “As your read this book you will soon discover that my primary audience is pastors serving in Africa. This is deliberate. Pastors in the Western world have so many Bible colleges and seminaries and so many books on pastoral ministry that to write for them would be like adding a drop to an ocean” (p.4). He then adds, “I appreciate the principles being taught (by Western authors) but I often find the authors shooting over the heads of those who live in my own neighborhood, who have not been exposed to the thought patterns and idioms of the Western world…So, what I have done in this book is basically to take the same principles and clothe them in the African attire” (p.4). Mbewe also makes it clear at the beginning of the book that Pastoral Preaching is not a homiletics book. (Homiletics can basically be defined as the art of preparing and delivering sermons). Rather, his book is concerned with how preaching should be done in a pastoral context. “In this book I am addressing a number of key areas related to preaching in a pastoral context” (p. 2). This means that if one is looking for a book that guides you through the stages of sermon preparation, this book is not ideal for that undertaking. Yet, despite not concentrating on preparing and delivering sermons, in chapters 13-15, Mbewe takes time to briefly guide the preacher on how he can develop sermons from narratives (stories), didactic passages (passages that contain instructions), and poetic and prophetic passages of the Bible. In chapter 11, he also tackles how a preacher can craft an introduction, body and conclusion. Mbewe, further, discusses the effective use of illustrations and applications. He concludes the chapter by writing on how a preacher can modulate his voice and gestures and maintain a good eye contact. 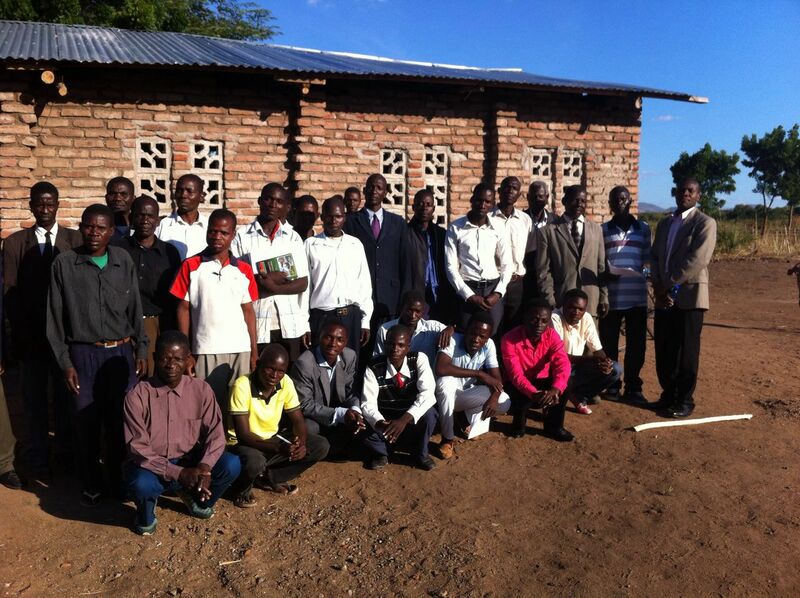 Pastoral Preaching reveals the pastoral heart of Mbewe. As you read the book, you realize that he is not a hireling but an undershepherd of Christ who fully understands and cares for the challenges that pastors and Christians in Africa face. He endeavors to propose some measures that might alleviate these problems. For instance, for the lack of formal training for many pastors in Africa, he encourages the old but trusted approach of having men trained under a more mature and godly minister. Obviously, he does not argue that formal training is irrelevant; however, in cases where it is impossible to attain such training, this approach will suffice. Mbewe also points out the need for congregations to fulfill their biblical mandate to take care and support those who labour among them faithfully despite that many African Christians live with limited resources. In chapters 17-18, he discusses the importance of godliness in the lives of ministers. He gives an ever-timely admonition: “It is vital to remember that as a pastor you are first of all a Christian. You are a sheep before you are a shepherd. Therefore, all the pleas in Scripture for a Christian to live a godly life apply to you as well…You live in a fallen world and struggle with the remains of your own fallen nature, and so you must pursue holiness in the same way that every Christian is urged to do so” (p. 163). One area, which I wish Mbewe, could have given more thought is the distinction he makes between evangelistic and pastoral preaching. “Evangelistic preaching is needed to bring sinners into the kingdom” and pastoral preaching is “to help those who have come to Christ to grow spiritually” (p.9). I found this distinction to be somewhat confusing in the sense that it seems to imply that evangelistic preaching is not pastoral. Mbewe somehow realizes that and points out, “Although I have made a clear distinction between evangelistic and pastoral preaching, I am not suggesting that pastors need to choose one over the other. Pastors are called to do both…So, the two types of preaching are not necessarily mutually exclusive” (p. 14). He further discusses the difference in chapter 2 as he uses the illustration of a pastor as a shepherd (p. 18-19). Despite the effort to convince the reader of this difference in chapters 1 and 2, I still think that Mbewe’s distinction is “artificial” as he rightly observes in chapter 1 (p.9) because both evangelistic and teaching aspects should be understood as being part and parcel of pastoral preaching. Evangelistic preaching is pastoral preaching. Perhaps a better distinction could have been evangelistic and doctrinal or instructional preaching (“doctrinal” meaning “teaching” from the Greek word “didache”) as Dr. D. Martyn Lloyd-Jones rightly distinguishes in his masterpiece on preaching, Preaching and Preachers. “It is important that we should recognize these two main sections in the message of the Bible. The first is what you may call the message of salvation, the kerygma, that is what determines evangelistic preaching. The second is the teaching aspect, the didache, that which builds up those who have already believed – the edification of the saints” (© 1971 by Dr. Martyn Lloyd-Jones, Zondervan Publishers, p. 62). But this is a small detail compared to the rich gold that my fellow African preachers would mine from the book. I can’t agree more with John MacArthur who observes that the book embodies all the qualities of the preaching ministry of Mbewe, which are clarity, accuracy, thoroughness, courage, insight, and uncompromising faithfulness to the text of Scripture. That is undeniably true of Pastoral Preaching: Building a People for God. Last week one of Malawi’s Paramount Chiefs, Chief M’Bwelwa V was quoted by the country’s media warning the Presbyterian church in northern Malawi to stop preaching against polygamy and drunkenness. The chief’s warning has received mixed reactions. However, one reaction I have found interesting is the one that argues for “decolonization of theology.” In case of polygamy, proponents of decolonization of theology argue that polygamy is a Ngoni culture or African culture hence African theologians and pastors should develop a theology that doesn’t condemn it because, the proponents further argue, the teaching against polygamy was imposed upon Africans by Western missionaries. There is a lot that can be said about this fallacious argument; however, I would like to briefly point out two things: First, looking at the history of Christianity in Africa we know that even African theologians like Tertullian in 2nd and 3rd Century AD and St. Augustine in 4th Century AD condemned polygamy. Tertulian wrote,”We do not indeed forbid the union of man and woman, blest by God as the seminary of the human race, and devised for the replenishment of the earth and the furnishing of the world and therefore permitted, yet singly. For Adam was the one husband of Eve, and Eve his one wife, one woman, one rib,” (Ante-Nicene Fathers: The Writings of the Fathers Down to AD 325 Vol. IV by Alexander Roberts). St. Augustine in his treatise, On Marriage and Concupiscence, argued: “That the good purpose of marriage, however, is better promoted by one husband with one wife, than by a husband with several wives, is shown plainly enough by the very first union of a married pair, which was made by the Divine Being Himself” (Book 1, Chapter 10). So, it is misleading to argue that preaching against polygamy is a Western theology. It is NOT! Our own forefathers taught against polygamy long way before Western missionaries stepped their foot on African soil because our forefathers were faithful to God’s word and not their culture. Second, the proponents of decolonization of theology point to the fact that no where in the Bible is polygamy explicitly condemned except in the case of office bearers in the church (1 Tim. 3:2, 12). However, we know that when God the designer of marriage first established it married one man and one woman. More importantly human marriage is a reflection of the perfect marriage of Christ and his bride the Church. Christ has only one bride so should also those who say they follow Christ. We should not forget that the first person to have a polygamous marriage was Lamech from the ungodly line of Cain (Gen. 4:19). In case of the patriarchs like Jacob or David we should note that theirs were not the ideal situations. Although they were God’s people what they did was not right and never reflected what their God had initially intended. So although proponents of decolonization of theology will cite these examples, they know that they are not good examples. So why dwell on bad examples when the Bible tells us to, “Finally, brothers, whatever is true, whatever is honorable, whatever is just, whatever is pure, whatever is lovely, whatever is commendable, if there is any excellence, if there is anything worthy of praise, think about these things” (Phil. 4:8)? 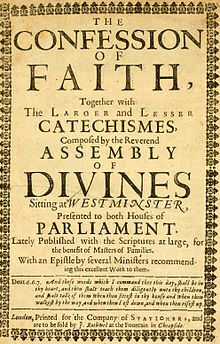 As Protestants, and more especially as Reformed believers, we are appalled by this prayer. How can one pray through Mary while Christ is the only mediator between God and man as Paul reminds us in 1 Timothy 2:5? But in our reaction to RC’s doctrine of Mary we often tend to go to another unhealthy extreme of ignoring the important and God-given role that Mary played in the history of our redemption. We need to guard against this extreme because as we see in the Bible Mary by God’s grace did play an essential role in our redemption. It is through her that the Savior, Jesus Christ, was born in the world. It is of little wonder then that her name is mentioned in the Apostles’ Creed. Above all, the Scriptures call her “blessed among women” (Luke 2:42, 48). And he came to her and said, “Greetings, O favored one, the Lord is with you!” 29 But she was greatly troubled at the saying, and tried to discern what sort of greeting this might be. 30 And the angel said to her, “Do not be afraid, Mary, for you have found favor with God. However, this contradicts what Luke 1:28-30 tell us. Mary was the recipient of God’s grace; she was never the source of grace. Mary was not full of grace; God alone is full of grace. The brief account of Mary which Luke records for us in chapter 1 clearly demonstrates that it was Mary who found grace in the eyes of God. Consider the following three points. First, Mary was a sinner in need of a Savior (Luke 1:46) just like all of us. And the Lord saved her by grace and chose her by the same grace to be the mother of Christ. This is what people thought of Nazareth the hometown of Mary. Nothing good can come out of this little-known town. Yet, it is to this obscure city that God went and found a young lady named Mary and said to her, “Behold, you will conceive in your womb and bear a son, and you shall call his name Jesus” (Luke 1:31). God’s grace is indeed amazing. To Him alone be the glory forever! (This material first appeared in a form of a sermon which was first preached at London Free Reformed Church in London, Ontario, Canada on December 17, 2017). We are continuing with our study of personal eschatology, and we now come to the question of death. What happens at death? This is a broad question that unfortunately cannot be answered broadly since there are two types of deaths namely that of a believer and an unbeliever. What occurs at the death of these two differs significantly. We will look at believer’s first and later at unbelievers. First, as a Christian dies, he experiences God’s grace. This might sound obvious since the daily life of a believer is marked by grace. But, I highlight this point because even though death is a defeated foe, it still remains one of great fears of humanity. It is for no reason that we call it the chief of terrors. Many have experienced or witnessed loved ones passing into glory, perhaps more than a dozen times, yet they can’t say that they are used to death. Since no single human being can be used to death, God always grants grace both to the one dying and to his family, more especially, if they are believers. Christ’s grace proves to be more than sufficient and helps everyone through it. Second, at death a believer attains full sanctification (Heb. 12:23). In this life, by God’s grace, a believer strives to become more like Christ but sin has not yet been fully conquered in his life. However, at death sin is completely eliminated and the Holy Spirit makes his soul perfect in holiness. Third, a believer’s soul immediately enters into heaven. There are a number of teachings regarding what happens after the soul has been separated from the body in death. Some have taught that the soul sleeps waiting for the final judgment. This teaching is also called the doctrine of soul sleep. Some have said that the soul goes into an intermediate place. In this place, so the say, the souls of believers enjoy a measure of reward but not equal to their final and full reward in heaven. On the other hand, the souls of unbelievers, this teaching states, suffer a degree of punishment but not equal to their future judgment in hell. Some also have taught that there is a place named Purgatory where Christians with some unrepented sins go to be purified before their entry into heaven. However, we cannot find any biblical basis for these teachings. Instead, the Bible clearly teaches us that the moment a believer dies, his soul goes straight to be with the Lord in heaven (2 Cor. 5:1, 6, 8; Phil. 1:23). We shall in the following posts look at how Christian should respond to these erroneous doctrines. Fourth, a believer’s body returns to earth waiting for the day it will be glorified and reunited to its soul (1 Cor. 15:53-54). I think the fact that one day the dead body will be glorified should be one of the motivating factors for Christians to treat dead bodies with respect. Burial is not just an incidental detail in our lives. This could spark a debate on whether Christians should bury or cremate. I will weigh in only by making a confession. I have always believed that burial is more ideal. I also believe that I can argue from Scripture that burial is preferable than cremation. I had strong reservations towards cremation until one day when I was talking to a fellow Christian who is from one of the Asian countries. In our conversation we somehow arrived at the topic of cremation and he told me that in his country, more especially in his area, they don’t have enough land for cemeteries so even Christians cremate. That conversations helped me clear some of the prejudice I had towards Christians who practice cremation. It helped me to understand that not all Christians who practice cremation prefer it to burial rather there are some factors that compel them. So, if there weren’t any valid reasons for cremation, I would have argued that Christians should shun it.